In this class students will learn both the process of Monotype printing and Collograph printing to produce a short visual narrative. 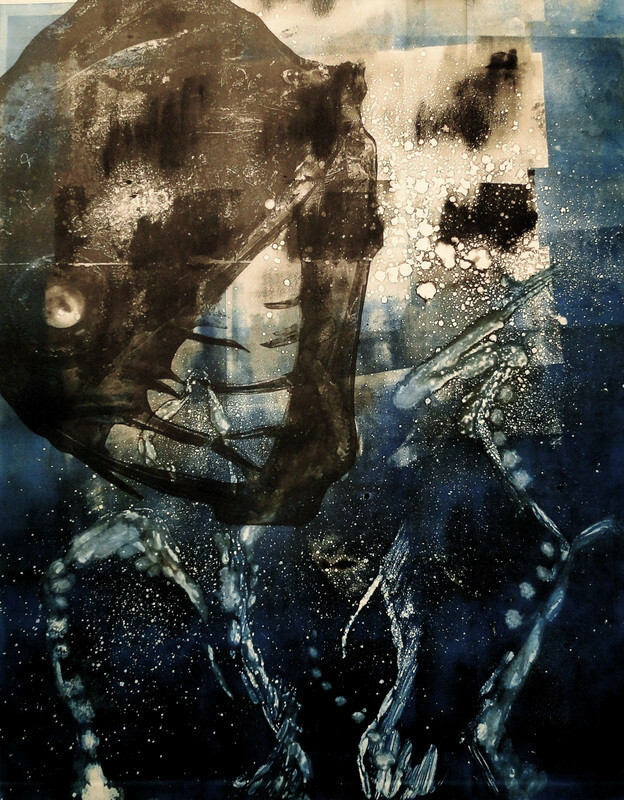 Monotype printing is done by applying ink to a sheet of plexiglass and then running the sheet through the press to produce one, unique image. Collograph is a similar process, in which the artist constructs a plate out of cardboard or foam core and other found objects. After ink is applied to the plate it is run through the press, and can be done so multiple times to produce a like image. This class will combine the two processes to create a short narrative of images. First, students will create backgrounds for their narratives using the monotype process. Then, they will construct characters or other images on a Collograph plate to be printed on top of the monotype prints. The goal is to achieve at least four final images that tell a short story, or four images that are short narratives within themselves. Our instructor, Chelsea Fredrikson, will demonstrate just some of the infinite possibilities for both Monotype and Collograph – such as additive and subtractive monotype and cutting away material to create negative space, and drawing or writing on Collograph plates with hot glue. Check out the Class Listing today!